This is Hat Head National Park. Like many of Australia’s National Parks the camping area was set in a spacious glade scattered with fire pits. This one had four roos in the middle, or maybe they were wallabies, whatever they were, they were doing a fine job keeping the grass short. Beyond the glade was thick forest with one narrow sandy path which rose steeply flanked with dense flora to squeeze through. I had to investigate. 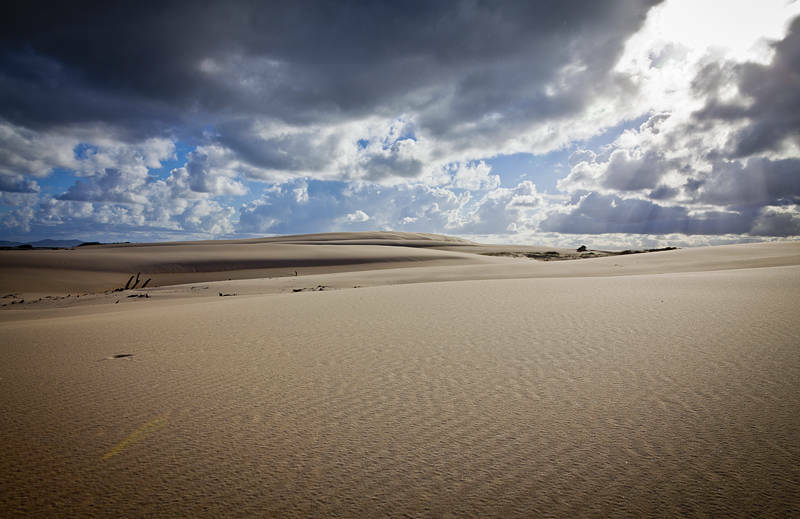 The climb was mercifully short then opened out to this amazing view of one of the largest sand dune systems in New South Wales.